Horror movie by Adam Robitel from 2019. 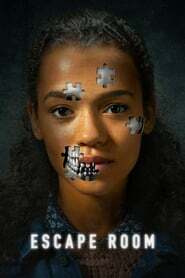 American mystery sci-fi horror directed by Adam Robitel about six strangers in new escape room, where is no way to safe. Stars: Deborah Ann Woll, Taylor Russell, Tyler Labine. Directed by Adam Robitel, author of Insidious: The Last Key.